As we move ahead with the Safe Streets project over the course of the year ahead, there will be a small group of people to whom we shall be referring from time to time who have, through their insights and contributions, basically redefined the entire field of transport in cities. 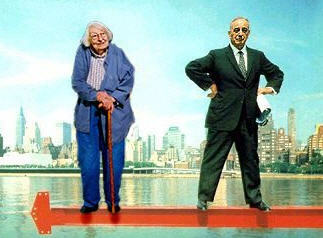 And Mrs. Jane Jacobs is of course one of this wonderful group. We are honored to be able to share these leadership profiles with you, and for Mrs. Jacobs we pass the word to Michael Mehaffy who reminds us of her contributions and takes on her critics head-on. With the 50th anniversary of the publication of Jane Jacobs’ The Death and Life of Great American Cities coming to a close, Michael Mehaffy refutes the contrarians and clarifies Jacobs’ lasting “Top 10” observations found in the incredibly influential book. 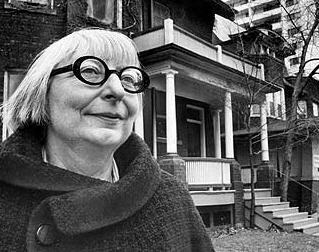 Just now we are nearing the end of the 50th anniversary of Jane Jacobs’ hugely influential book, The Death and Life of Great American Cities . The year has seen a remarkable series of re-assessments and, in some cases, revisionisms. 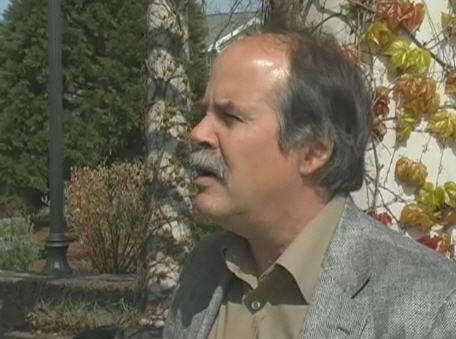 Planner Thomas Campanella has criticized Jacobs’ “evisceration” of planning, which created a vacuum into which privatizing interests rushed; economist Ed Glaeser has argued that Jacobs fed gentrification with her call for preservation of some old buildings instead of all new towers; and sociologist Sharon Zukin attacked Jacobs’ alleged fantasy of the “social-less” urban block. Most recently, my friend Anthony Flint suggested that Jacobs was a libertarian with a mixed legacy of NIMBYism. What I find remarkable about these accounts – speaking as an instructor who regularly uses her texts – is that in almost all cases these were things that Jacobs herself simply never said. She was clearly not against planning, but against failed planning; not against government, but against government badly organized; and not against new buildings, but against rushing monocultures of the new. She was for a deeper tactical understanding of how the “inherent regenerative force” of “self-diversification,” as she termed it, can be put to work to provide more diversity of income and opportunity, as clearly has happened in cities throughout history. She was not, let me assert, a blind theoretician or ideologue, but a good empiricist, using theory as a helpful tool along the way. This may be part of the problem. After all, the professions of planning and architecture, to which I myself belong, do not have a particularly good history when it comes to escaping ideological or ex cathedra thinking. We don’t seem particularly good at learning from the evidence of our mistakes – even when they are explained to us in painfully lucid detail. But I think there is a deeper explanation for the persistent misreadings of Jacobs. She was the first to apply a dawning new human understanding of the natural world to cities – an understanding that even now is slow to be grasped by built environment professions. It’s an understanding of “organized complexity,” as she called it – the dynamic inter-relationships of systems, of processes, of self-organization. This was not a mysterious world, but a comprehensible one – it was just a different kind of world than we had been envisioning. A city, certainly, was a different kind of problem than we had thought. And therein she identified a huge obstacle to learning and progress, and one that is largely still with us. Other fields of thinking and action have made great progress on these insights: ecology, biology and medicine, to name a few. There are astonishing things happening today in genetics, in network theory, and in mathematics and computer science. Even economics, a field that has historically been more dominated by ideology than most, is beginning to use more reliable evidence-based theories of how complex economic interactions actually work. Such models seem essential in learning to make more successful, more sustainable cities. But all these fields are informed by what Jacobs called a new “web way of thinking” – employing not simple formulas or templates applied from above, but catalytic changes to a network of dynamic relationships. Doctors do this kind of thing routinely when they give medicine to boost the immune system, or prescribe changes to diet – or indeed, when they recommend that a patient adopt a healthier lifestyle or environment. They are changing the dynamic mix of variables within a complex, interactive web, going on a testable, refinable idea of how that will turn out. So, too, Jacobs argued, a city is a diverse mix of people and processes, with its own self-organizing dynamic. We can exploit this dynamic by design, but this is a different idea of design, perhaps. Top-down interventions can certainly be part of this process (Jacobs mentions, for example, the use of public projects as “chess pieces” to trigger other changes) but we understand that we have to pay attention to multiple factors and multiple relationships. We have to use different tools for different conditions – “tactical” urbanism as it has been called. We have to figure out where – and how – to change the “operating system,” the rules, processes and standards that constrain and corrupt our intended outcomes. And we have to plan with self-organization, in a way that exploits its inherent capacity to solve our problems. This approach may not have the compelling simplicity of big-thinking, “silver bullet” solutions; but history shows it can achieve stunning success over time, where the big plans often lead to slow unfolding disasters. History also shows this approach can be extraordinarily hard to implement by siloed professionals accustomed to specialized, linear formulas and templates. But that too is a dynamic problem, to be studied and remedied. I think we must do so, as a matter of highest professional urgency. What is at stake is simply whether we can actually learn from our mistakes – at a time we can ill afford to go on repeating them. 1. The city needs to maintain a continuous walkable fabric that promotes “thoroughgoing city mobility and fluidity of use.” This is a key to promoting diversity, and unlocking the capacity of cities as engines of mobility. This alone does not guarantee diversity, but it is a prerequisite for it. This means, among other things, that alternatives need to be found to disruptive uses, such as freeways, large parks and the various “campuses” that might interrupt this fabric. 2. The antithesis of this approach is to create isolated “projects” or project neighborhoods – large, disruptive superblocks of monocultures, featuring artfully designed, unchangeable buildings, surrounded by amorphous no-man’s landscapes that she dismissively termed “project land oozings.” A particularly destructive example is the Clarence Perry “Neighborhood Unit”, a standardized planner model of inward-turning neighborhoods surrounded by fast car sewers. But other examples include large shopping centers surrounded by oceans of parking; large industrial users (also surrounded by parking); large hospitals; large university campuses; and other variations of the destructive “campus” model. Examples like Portland, Oregon show that it IS possible to integrate these uses into a modern city. 3. The best way to fight gentrification is not to demolish old buildings and build high rises, but to go into other depressed areas and regenerate them. Jacobs did not say don’t do new buildings, but she said keep a mix. What about Manhattan, which is almost fully gentrified? Well, how about Brooklyn, The Bronx, Queens? There is far more that can and should be repaired, before we resort to colonies of massive new buildings. 6. Density is a valuable urban ingredient in context, but is not an end in itself. Again, we must be wary of single variables and single-variable solutions, like “skyscraper cities.” What we value is not sheer aggregations of people massed together – or separated by “open space” – but the web of connections and ordinary encounters between people. This is what compact, walkable urbanism can give us, in a range of conditions, including big cities and smaller towns. 7. Cities are engines of knowledge synergy that create economic prosperity (economists now call this phenomenon “Jacobs Spillovers”). There is a physical web of relationships that starts at the pedestrian scale. “Sidewalk contacts are the small change from which a city’s wealth of public life may grow,” she said. Very hopefully, there also appears to be a corollary in the conservation of resources, that does not come only from reduced driving and from compact buildings, but in fact, comes from the “metabolic efficiency” of dense networks of connection within cities. 8. Diversity does not by itself guarantee avoidance of economic stratification. But lack of diversity does guarantee more stratification. Again, we should not be looking for single-variable solutions, but for an interplay of relationships. In human affairs, that interplay is best facilitated through strategies of diversification. 9. “It’s the economics, stupid.” We need to recognize that economic systems are feedback mechanisms for the values we seek, and we must treat economics as such – recognizing that there is as much danger in “money floods” as in “money droughts.” Our job is to select the right tool for the job, and make sure that things are working optimally. They do not do so by themselves, but only with an active citizenry and a lively culture. 10. The capacity to solve our problems rests with the informal web of creative and regulatory relationships we have – our culture – and not with specialized “experts.” To rely too much on experts in silos is to reinforce their siloed condition, which threatens us all. Certainly this does not mean that there is no role for experts, or for government. It does mean that this role must be more catalytic, more “bottom-up” – more with the grain of culture, than against it. In the end, Jacobs’ message was a hopeful one. We broke cities – we broke our built environment – and we can fix it. We do have the power to make walkable, thriving cities and towns, and to erase the disastrous course of suburban fragmentation we set ourselves on several generations ago. The kind of problem a city is, is one that can, in fact, be solved – if we understand it, and learn from it. I have the real sense that we have the tools necessary, but we need to assemble them in useable, user-friendly ways. That’s what I try to do in my consultancy, and then in my NGO role I try to catalyze collaborations between folks to help to accelerate the process. Though not an economist, I am increasingly drawn to economics (in a Jacobsian urban sense) as a central part of the story. Most recently we did a symposium at ASU with some folks from the Santa Fe Institute and from UCL, looking at economics, “Jacobs Spillovers,” network theory, and the way streets all work as the sort of spine of the physical system. Geoffrey West at SFI, a physicist who is somewhat new to urbanism but willing to learn, has said that he likens what he is working on as “just doing Jacobs with the math.” I like that! When I was a young student just out of the army back in the late fifties I lived in Greenwich Village in New York and hung out in Washington Square Park, where one day I talked to a lady with a couple of kids collecting signature to protect the park as social space. She explained to me the situation and I signed, innocently, not knowing that with this casual encounter I was embarking on a very long quest. We then met from time to time, corresponded and swapped ideas and news right up through 2006, with our last collaboration being her support of a joint project we organised with the Sierra Club in Toronto for a New Mobility Week in 2004. She was not so very young then, had great difficulty in moving about, and she was terrific. Once we had helped her up to the stage, she mesmerised the audience and in the process did a splendid hatchet job on the uncertain hand of the then current mayor and the city’s public officials more generally. Well, not quite Mrs. Jacobs. Of course your books, but also your example. And as you can see here and in many other places, we remember you for both. This entry was posted in Homage, Principles. Bookmark the permalink. n the same year, 2004 I sat next to Jane at a performance of “Waiting for Godot’. Mary Ellen (a town planner) spoke to Jane at some length in the interview. One thing we remember was the discussion about the cut in Jane’s trousers. Jane explained that the cut was from scissors used for clipping newspapers which she was organizing for her writing. Her books have been a guide for us – they contain much wisdom. Also my memories of your visit to Toronto in 2004 are very positive much as it was a turning point in my life. I do hope that out of the current financial crisis there can be a turning away from efficiency and its negative effects on culture. Here in New Zealand, far from perfection, there is an example. All citizens are free to move and work in Australia. The equivalent of Canadians having the same privilege in the USA. While many go, most stay in a country with lower incomes and a lower ‘standard of living’ but high in Reputability (Reputation Institute) and Transparency (Transparency International). So advocacy of improved outcomes through World Streets may not be seen as ‘efficient’ but it may be contributing to higher life quality.